At Starkwood Chiropractic, we take pride in providing our patients with the finest general chiropractic care Portland has to offer. Our doctors and assistants have more than 30 years’ combined chiropractic experience. We have the skills to alleviate any pain you are dealing with from an auto accident, sports injury, or other setback. We are also experts when it comes to diet and nutrition, and we can help you achieve maximum health with your counseling service. No other chiropractors in Portland can offer such a wide array of beneficial services. You have probably heard the classic saying, “You are what you eat.” No, you won’t become a pig if you gorge yourself on pork, but you will probably gain weight if you eat bacon and sausage all the time. Maintaining a proper diet and getting a sufficient amount of nutrition are two cornerstones of healthy living. Your organs, tissues, and cells all require nourishment and nutrition to function optimally. Practicing a “balanced” diet means that you are getting just the right amount of nutrients from the food you eat, and that you are eating various foods from different food groups. An “unbalanced” diet would mean that you are either taking in too much of a certain nutrient, such as fat, or too little. Having an unbalanced diet can directly affect how your bones, organs, and nervous system are functioning. It also puts you at a much greater risk of developing harmful diseases down the road, such as hypertension, diabetes, and heart disease. With growing healthcare problems like obesity and diabetes, it is more important than ever to eat healthy and practice good nutrition. Here at Starkwood Chiropractic, we are well-trained in dieting and nutrition, and we offer an exceptional counseling service for our patients. We know that a one-size-fits-all approach doesn’t work for dieting, as each person has unique nutritional requirements. We tailor our approach to your lifestyle, so we can find a balanced diet that works for you. 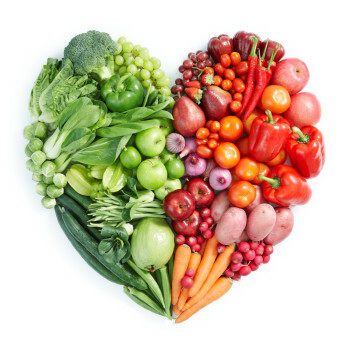 With our diet and nutrition counseling, you will look and feel healthy and rejuvenated. We are excited to be able to help our patients with their dieting needs, but, as chiropractors, we offer back pain and neck pain treatment for the Portland area, as well. Feel free to contact us any time to schedule an appointment for a free consultation with a chiropractic specialist.